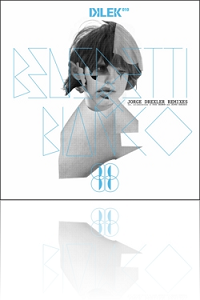 Jorge Drexler Remixes by Franco Bianco and Nacho Benedetti is now available in CD, Vinyl and Itunes. This Microsite is written in English. Hablas español? Click aqui. Vinyl and Itunes, including the versions of Mike Shannon and Jesper Dahlback. This new reference on Dilek Records is something very particular and out of the ordinary. It was achieved after a long period of work in the studio, which lasted three years and was done with a lot of heart and passion. It’s the 10th vinyl release of this surprising Swiss/Argentinean label who is now presenting an extremely multicultural project. This release is available on vinyl as well as in digital format including bonus tracks and also in CD, with even more unedited material! Listen to these tracks and have the opportunity to discover something totally different with some of Jorge Drexler’s uncut material. This new album was supported by amazing artists as well as magazines and radios stations around the world. "An album not promoted, is like an album not released"